It’s indeed an interesting watch to learn the life of any culture you might not be familiar with. To watch “Menashe” was almost like attending a cultural school from where you educate yourself about a fascinating culture Jewish people follow every day. Menashe is probably one of the most helpless characters you will ever see. He is dependant himself, a year ago he lost his wife, and now has a son, who is more capable than him. As a grown-up man, Menashe, as if he was a little child, starts learning first major steps to win custody of his son, Rieven. Menashe (Menashe Lustig) is an honest, genuine and respectful man, even towards customers he barely knows. At the store, something very catchy happens, as he was cashing out a woman with eight children, he finds that the lettuce being sold is unwashed. Just like what many others would have done he could close his eyes and ignore the fact that something unwashed is being sold to the customer, but what he does is what makes him different from many others, as he leaves his spot to argue that matter with his boss. After that it won`t matter whether Menashe will return back to the customer to offer his sincere apology, no, it will not. All what matters is the character of the human being you see how gracious he is. Despite his kind personality, Menashe’s life is as miserable as it could possibly get. His boss is horrible. He himself is not so good at work, unable to make rent payments on time, and has no food at home. And his brother-in-law Eizik, who looks after Menashe’s son, ensures that even if there is a little confidence Menashe has in himself will go away. Having all those struggles the man has to face, he who has a lawful right to look after his own son is dependant on cultural prejudices, he now needs to find a wife who can look after the household, keep the home clean and be able to help Menashe as well as his son. All that is almost like a documentary look of a real-life events you want within eighty-one minutes to learn that it’s never too late to gain independence, never too late to learn to be responsible, and never too late to build a life when some might have no hope left. Film directed by Joshua Z. Weinstein and based on the life of Menashe Lustig who plays himself in the film is an extravagant, thorough, and unique look into the title character’s life, his baby steps into a life that he desperately needs if he wants to get his son back, and the decisions he needs to make in order to enjoy his life with his son. Due to the week that he spends with his son, you, as well as Menashe will follow his journey towards the end, I am sure will be satisfactory for anyone. To conclude that, it’s brilliant, real and honest look into ourselves from a different prism, regardless of your faith, belief and life preferences. 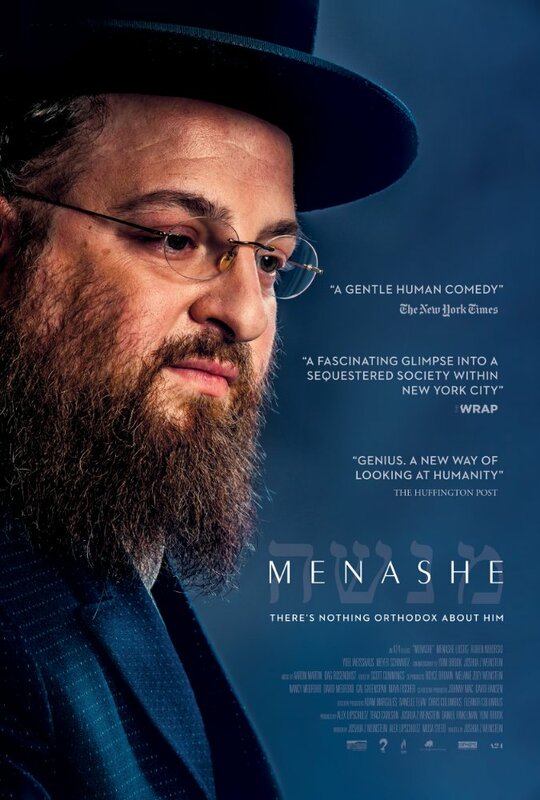 Give a try and see “Menashe”. It’s worth it.